Watch out – here comes the Splashosaurus Rex. 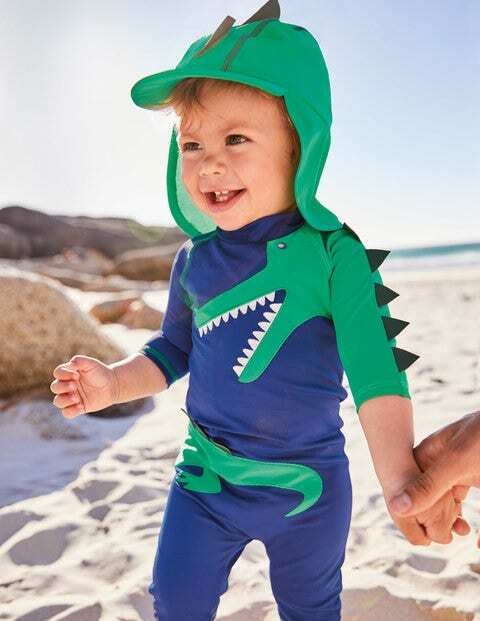 This classic surf suit features 3D dinosaur spikes on the back and hat for an adorably fearsome look. If baby loves an animal adventure, choose the tropical print full of bright characters and neon pops. On the inside, delicate skin stays safe thanks to the UPF 40+ fabric. The zip makes it easy to slip on and start having fun at the beach.